Cape Fear Museum › We won! 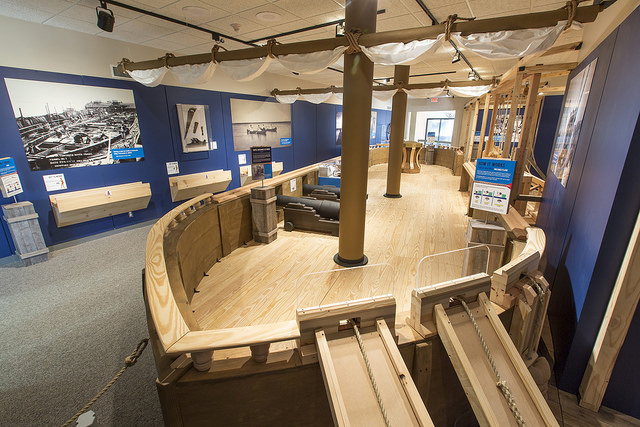 Cape Fear Museum has won two exhibit awards, a 2015 Albert Ray Newsome Award from the Federation of North Carolina Historical Societies for the exhibit Reflections in Black and White and a commendation from the Southeastern Museum Conference for Make It Work. Reflections in Black and White, open through May 2017, features a selection of informal black and white photographs taken by black and white Wilmingtonians after World War II before the Civil Rights movement helped end legalized segregation. Visitors have a chance to compare black and white experiences and reflect on what people’s lives were like in the region during the latter part of the Jim Crow era. The awards committee declared the exhibit was a model for inclusiveness in Wilmington. 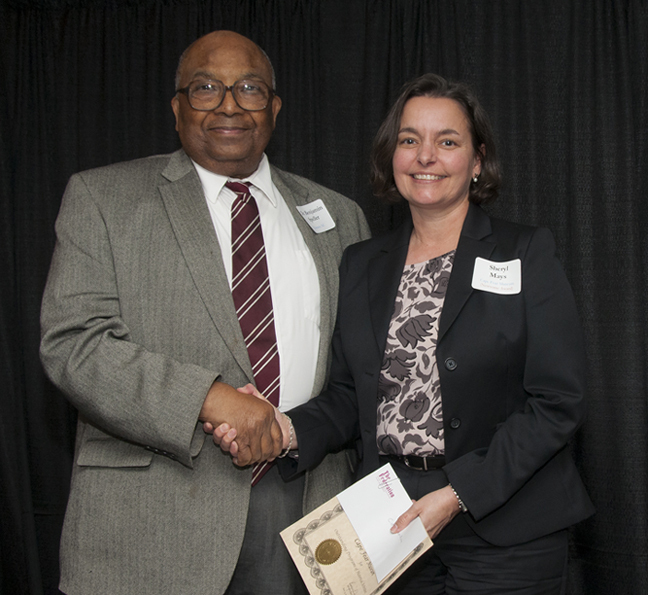 Museum Director Sheryl Mays accepted the award at the Federation’s joint annual meeting with the N.C. Literacy and Historical Association in November in Raleigh. Albert Ray Newsome was secretary of the North Carolina Historical Commission and a history professor at UNC-Chapel Hill. He was a strong advocate for the study and preservation of local history. The award named in his honor recognizes outstanding achievements in preserving local history by organizations and individuals. The Federation of North Carolina Historical Societies is a coalition of societies, associations, and commissions located throughout the state that are dedicated to preserving and promoting history in North Carolina. Make It Work was curated, designed and fabricated in-house and on display from December 2014 – October 2015. It featured hands-on activities to show how simple machines make maritime work easier. Historic objects and photographs from the Museum’s collections were also on view. Exhibitions submitted to the SEMC Exhibition Competition are judged in the areas of design and fabrication, exhibit publications, education and evaluation programs and the ability of the exhibit to support the museum’s mission or goals. The Southeastern Museums Conference is a networking organization that serves to foster professionalism, mutual support and communication. A nonprofit membership association, SEMC strives to increase educational and professional development opportunities and improve the interchange of ideas, information and cooperation. SEMC focuses on the Southeastern United States, including Alabama, Arkansas, Florida, Georgia, Kentucky, Louisiana, Mississippi, North Carolina, South Carolina, Tennessee, Virginia, West Virginia, Puerto Rico and the U.S. Virgin Islands.